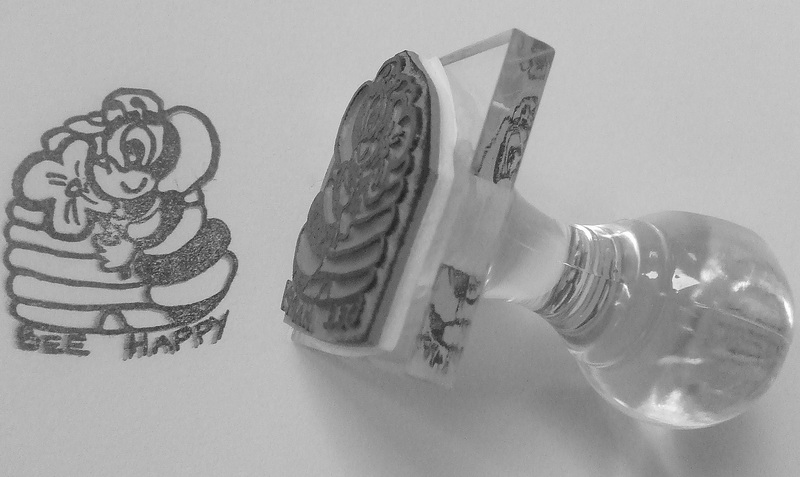 Our customers favourite Bee Happy Rubber Stamp with handle which prints clearly on paper, card or fabric etc. children love this one! For use with ink pad obtainable from your art shop or stationer.